There’s something about Santa. Children are either completely captivated by him … or clearly creeped out. 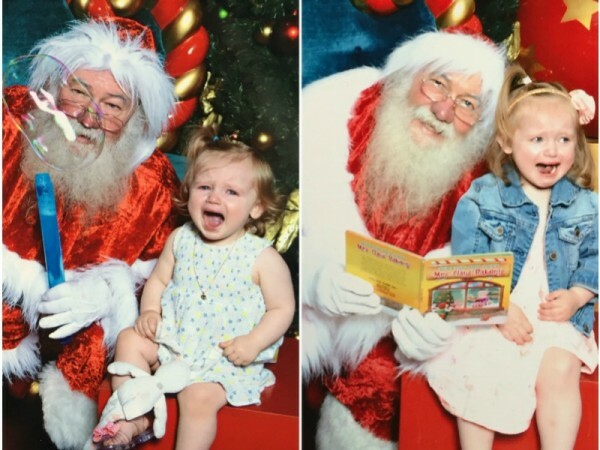 Either way, getting the annual Santa photo always promises to be an adventure. 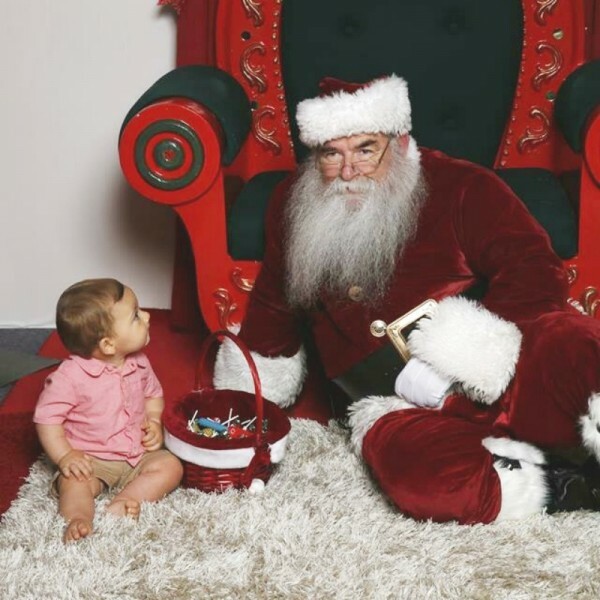 Just ask our readers who recently submitted their Santa photos for us to showcase. Come and see if your photo made the list. 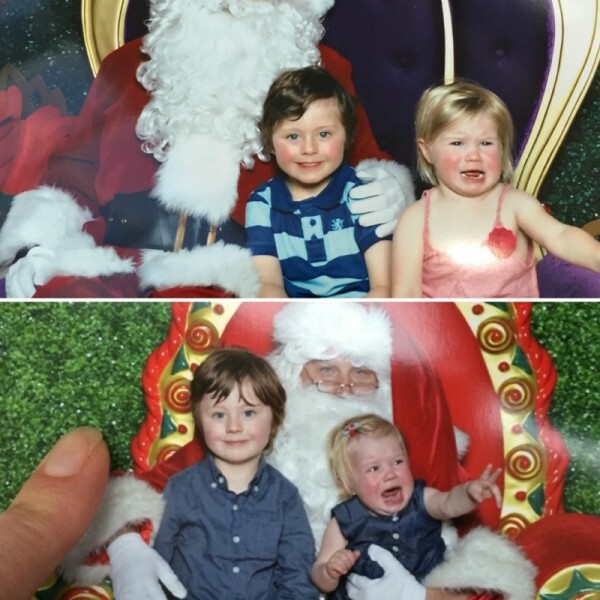 Amanda sent through the absolute gem of the image above of her two children clearly enjoying their first encounter with the man in red. 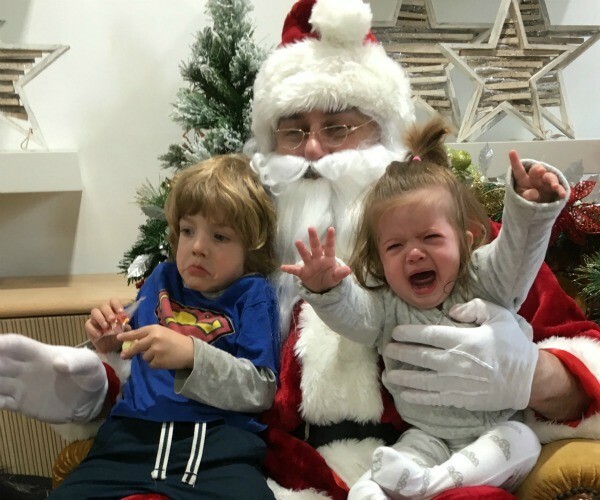 Alana’s two kids were so excited about the prospect of Santa – until it was time to actually touch him. Then, well, this happened. 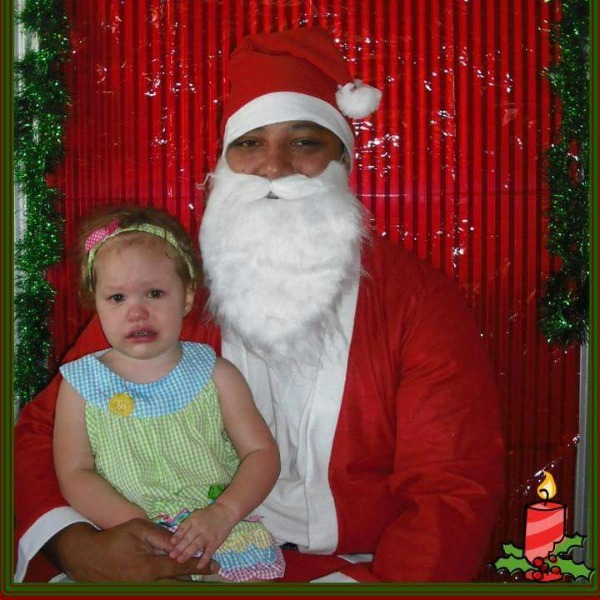 We especially love Kirin’s hilarious photo of her daughter Arya and Santa. Both look like they would rather be anywhere but together. Stephanie’s Santa looks like he’s had one too many candy canes. No wonder her little one is terrified. One of our Canadian readers, Sonja, sent us a photo of her happy-go-lucky little guy Eli, who quite possibly has finally discovered someone he doesn’t enjoy. 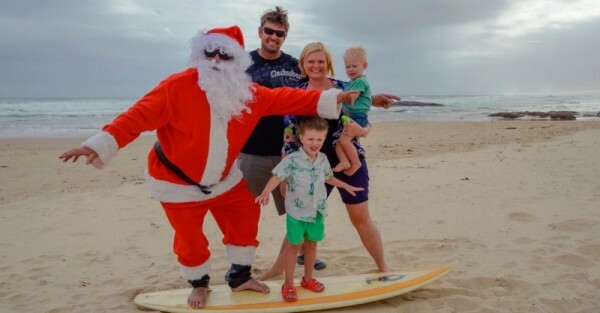 Kasey’s family nailed the awesome Santa photo this year as they took to the beach and snapped a random shot with a surfing Santa. With four kids under four (including a newborn), Gin and her husband thought outside the box and got Dad to dress up as Santa at home. Their daughter still looks unimpressed. 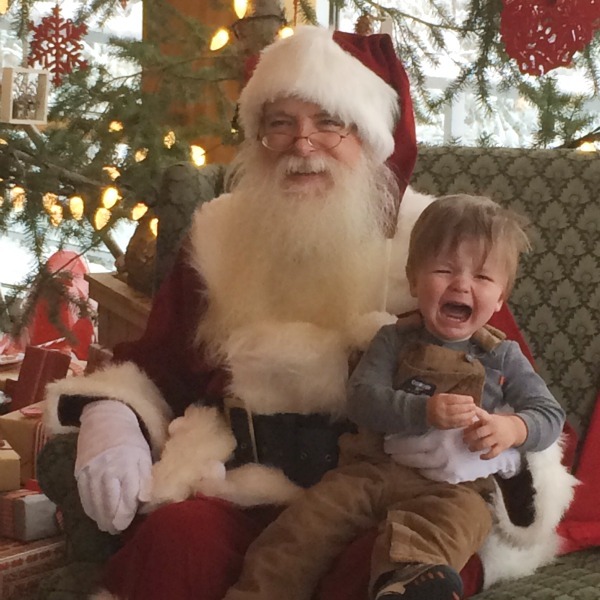 Consistency is key when it comes to capturing the perfect moment with Santa. Just ask Jodie and Cate whose children have perfected the fine art of timed tantrums, two years running (images above and below). At least the little guy is smiling. 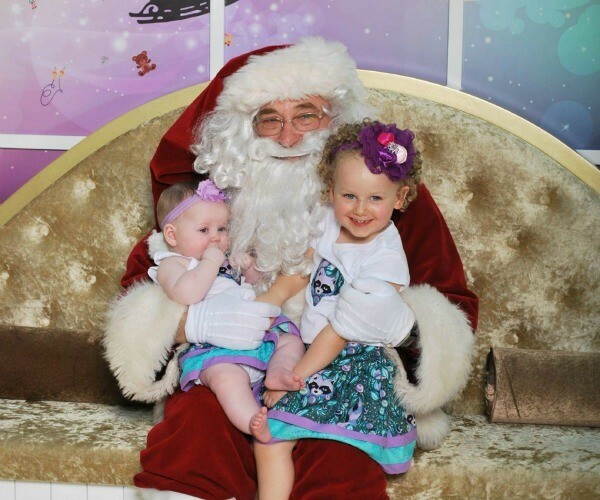 Monique’s adorable photo of her two little girls with Santa proves that it is possible to snap a good shot. 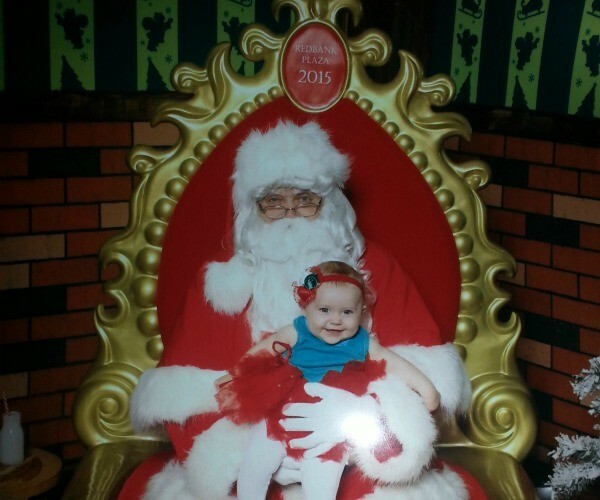 And Rachel’s adorable photo of Hunter and Santa left us all awwing. 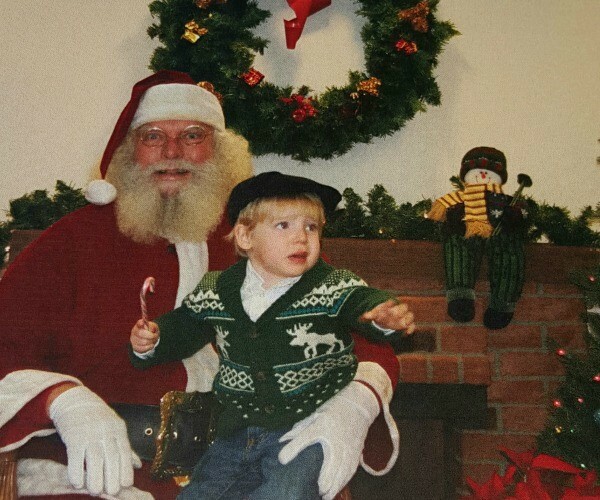 See, there is such a thing as a good Santa photo. It’s just incredibly rare. 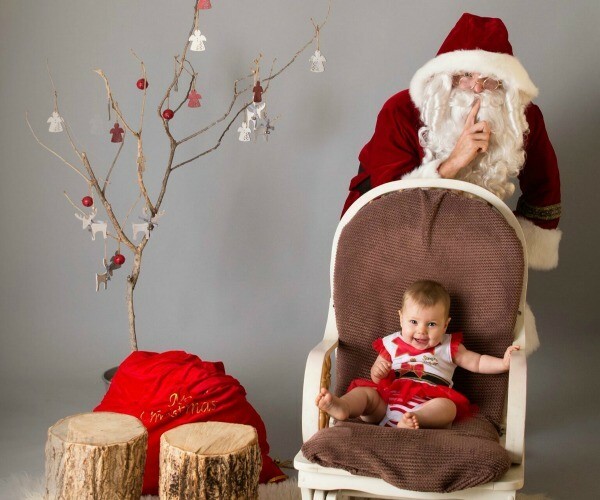 Thank you so much to all of our readers who shared their adorable, awkward and always-entertaining Santa photos. 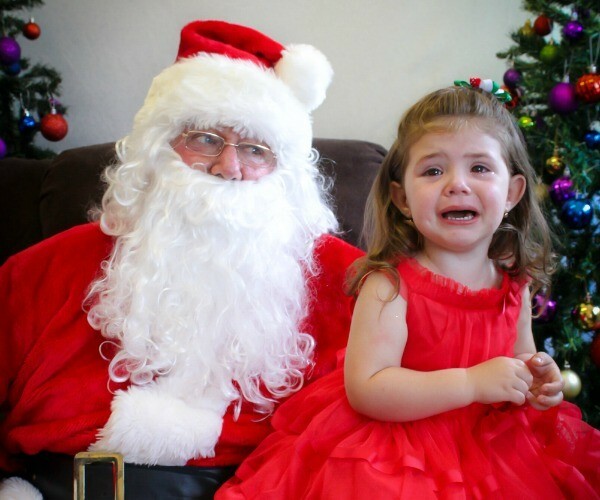 Make sure you check out even more awkward Santa photos that all parents need in their lives.